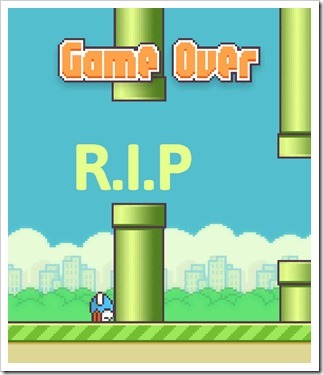 The rise and fall of Flappy Bird has been stunning, full of mystery and entirely shrouded in doubts and questions. The game has been downloaded 50 million times, was ranked #1 on both Android and iOS for free category and reportedly, was generating revenues of $50,000 or Rs 30 Lakh daily. Then why was this game pre-maturely killed, that too when it was its peak popularity? The game has received more than 47000 reviews on App Store, an accomplishment achieved by only top applications such as Gmail and Evernote! Flappy Bird was developed by Nguy?n Hà ?ông, a Vietnam based independent developer and was published under.Gear Studios, also based in Vietnam. It was released on March 24, 2013 and on February 9th, 2014, the developer and author of the game took it down permanently. Initially, the game was developed for iPhone 5 which was later upgraded for iOS 7. In January, 2014, it topped the Free Apps chart in the US and Chinese App Stores and later in the month, topped UK App store as well, where it was declared as the “New Angry Bird”. It ended the month as the most downloaded app on App Store, globally. The Android version was released on January 30, 2014, and it recorded unprecedented success there as well. And on 9th, he really did that. The game is no more available on Google Playstore or Apple App Store. He clarified that, “It is not anything related to legal issues. I just cannot keep it anymore.” And Tweeted: “I also don’t sell ‘Flappy Bird’, please don’t ask.”. Such is the craze for this game that on eBay, some merchants are selling iPhones and Android phones preloaded with this game. The game gained such huge popularity because it was extremely simple yet was extremely tough to play it successfully. Venture Beat speculates that the developer had become frustrated from the instant stardom achieved by him. In the last few weeks, his Twitter account had accumulated thousands of new followers, and I can imagine the messages and Tweets mentioning him flying across whole day 24*7. There have also been allegations that the art and animation of the game is a direct rip-off from the famous Mario games. The sound-effects and the background music is also way too similar to Mario. Severe criticism and mockery of the game has already been done by it’s players, but they only fuelled the fire, as the more and more people downloaded the game to have a look. One marketer even accused Dang of using bots to create artificial reviews and downloads. After a product has become successful, and becomes the talk of the town, the artist feels tremendous pressure to live to it, face it. Cases of drug usage and overuse among celebrities are some unfortunate examples of how such instant and overnight fame play havoc inside the person’s mind. Dang has some talent, no doubt. We should support him, and help him to do what he does best: create games. We hope that he is ok right now, and concentrating on creating even better games which can silence his detractors. But one thing is sure – No one gives away a Golden egg just like that. Apart from an odd exception, everyone craves for fame and fortune. Is Flappy Bird developer that odd exception? Or do you think there is more than that meets the eye? We may actually never know the real reason! there might be some serious reasons behind his move….it might also be a result of unexpected fame/money which everyone can’t bear suddenly.. Same here… Somehow, I really think that there is lot more going on the background that we do not know… There are has to be some reason for such a drastic action… You just do not kill a Golden goose unless you are out of your mind! Hope it clears some doubts!